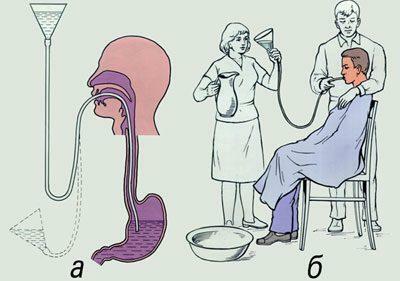 Probing and irrigation of the stomach are measures of the urgent help at various poisoning. It prevents the spread of toxic substances throughout the body, reducing the risk of their penetration into the blood stream. Gastric lavage is a procedure aimed at evacuation of gastric contents for diagnostic purposes (receiving wash water for the detection of microorganisms, poisons) or for the rapid removal of toxins from the body. The main indications for the procedure, the ingress of toxic substances in the digestive tract. 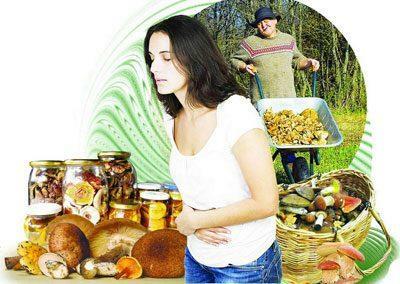 The most frequent cases when it shows the urgent cleansing of the stomach – food poisoning. It develops when the use of poor quality, spoiled food. Improper food storage, failure to comply with the temperature regime conducive to the rapid reproduction in cooked dishes pathogens. They can cause severe poisoning. Also the source of infection is food prepared in violation of the rules of heat treatment. This applies to meat and fish. In food intoxication gastric lavage is the first stage of emergency assistance to victims. The stomach was washed with patients with functional disorders of the gastrointestinal tract when food stagnates and begins the process of fermentation. The procedure is also performed for diseases of the digestive system characterized by increased production of mucus, atrophic, hypertrophic gastritis, disruption of gastric glands. Gastric lavage with a probe technique is performed by medical staff not only in the hospital but at home, when you call an ambulance. The water temperature for washing is 25-34 °C. the High degree of liquid is invalid, it will facilitate the rapid absorption of toxins into the blood. Manipulation is performed in medical gloves, protective aprons. Prepare a jar with a cap or vial with a tight stopper. It is going the first portion of the wash water and sent for analysis. For the procedure the patient is seated on a chair, when a serious condition is placed on the left side. Assess his condition, measure pulse, blood pressure. A patient’s chest to cover the protective oilcloth. To allow the probe to enter correctly and accurately, it is necessary to measure its length. The first way is from the ear lobe to xiphoid process of the sternum, and the second from the incisor teeth to the navel. On the probe to check the label. Advance preparation: collect system (probe to lengthen a rubber tube, connecting them by a glass hollow tube, attach a funnel), the free end of the lubricating liquid paraffin. Thoroughly wash and disinfect hands, wear disposable gloves. If the patient is restless, the procedure was carried out by two medical professionals. To the probe was advanced in the esophagus, you need to keep swallowing. 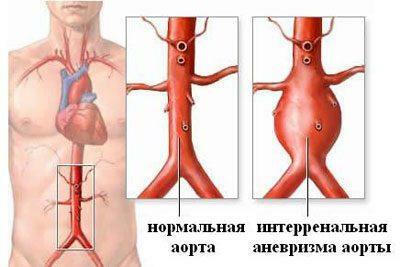 The system works on the principle of communicating vessels. Water is poured into the funnel, the vessel raise above the head. Once the liquid is at the mouth, the funnel quickly lowered to the pelvis. The water will go in the opposite direction only in the case if the system remained liquid. Part of the first portion is poured into the tube and send it for study in the laboratory. The manipulation to continue exactly until the water is clear, clean, without impurities. After the procedure the whole system, as well as rinsing and washing water is subjected to disinfection. The tool soak in a special container. Gastric contents to fill with a disinfectant powder. Probe gastric lavage for some patients is a severe procedure, so the patient needs to rest the first 2 hours. If there are no serious contraindications, in stable condition after recovery and Wellness, you can return to normal daily routine. Before gastric lavage should explain to the patient that the probe is not to squeeze lips, to bite, to try to pull hands. Medical personnel must ensure that the patient ceased to breathe deeply throughout the procedure. If the washings noticed streaks of blood or there is a suspicion of bleeding, immediately stop the procedure. Gastric lavage is not an indication for hospitalization. With a slight poisoning and consistently good health, the procedure can be done at home. Will also be useful to know algorithm of action of cleansing the stomach for emergency care when transporting the person to a medical institution long (the victim is outside the city or in a remote locality). How to wash out the stomach at home without a special probe? To make washing possible, causing vomiting. The victim to sit down, cover with a cloth or towel. Two fingers to wrap cotton cloth, gauze or bandage. Ask the victim to open his mouth, jamming my fingers in and put pressure on the tongue. The so called gag reflex. For these purposes, you can use a spoon. Discharge during the vomit to help the patient to lean forward a bit and substitute a bucket. In severe cases of poisoning, the procedure can be repeated several times. After rinsing the mouth must be rinsed with clean water. In the case of severe condition of the victim eating better to postpone until the stabilization of the functions of internal organs. If the health of the person is satisfactory, it is possible to eat in an hour after the procedure. In babies absorption in the body poisons is much faster than in adults, and causes severe intoxication. It is advisable to wash out the stomach first 1-1,5 hours after the poisoning. Indications to manipulation in infants can also be the ingestion of amniotic fluid, absence of the dynamics of smooth muscles of the digestive tract. The volume of the stomach of a newborn is 20-30 ml. For the first month of his life he increased to 100 ml Therefore the dosage must strictly comply with the age of the little patients, its excess is unacceptable. Technique of manipulation in children depends on their age. It is done in the hospital for poisoning and only for objective reasons. Babies first year of life in preparation for the lavage tightly swaddled. If the child is unconscious, first intoniruet the trachea and connect the child to the ventilator, and then do the manipulation. The process utilizes a nasogastric tube, it is inserted through the nostril. To numb the area of the nose, apply the lidocaine. The procedure is performed exclusively in the hospital. In order to clean the stomach children older than one year, use a probe for insertion through the oral cavity. Before the procedure is carried out sanitation of the oral mucosa with a solution furatsilina. For fixation of the jaw using a special extender for the mouth. The solution temperature is 35-36 °C. the Amount of fluid injected to children in the first year of life depends on the body weight and is calculated by your doctor. 8-12 years of 550-700 ml. Special solutions for cleansing are different in their chemical composition. If manipulation takes place in a home, the question arises, what to wash out the stomach. 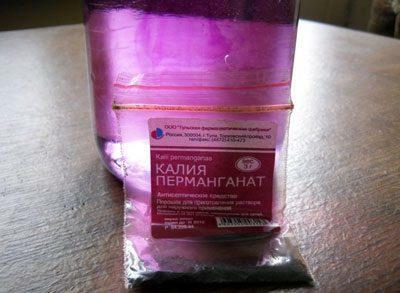 Most often use a weak solution of potassium permanganate. To prepare it, take a few crystals and is diluted in the Bank. The crystals must dissolve completely. The resulting solution is added to pure water and adjusted to the desired concentration. It is important that the water had acquired a slightly pink hue. Saturation and the presence of crystals is unacceptable, it will provoke a burn of the mucosa, a violation of its integrity. Therefore, the solution must be filtered through a filter paper (can use cheesecloth). This method is not suitable if you need to urgently wash out the stomach, as the potassium permanganate dissolves slowly. It is not recommended to use the solution in children of preschool age. Baking soda is used in cases of poisoning by acid. In 2 l of water to completely dissolve 1 tsp of baking soda. If a person is poisoned with lye, a solution of acetic or citric acid. Mix 2 liters of water with fresh juice of half the lemon, and the solution is ready for use. If you take vinegar, 2 liters of fluid to dissolve 10 ml of acid. Neutralizing solutions should be used with caution. If an unknown substance poisoned the people, do the washing only pure water. Are effective chelators – substances that bind to the toxins and quickly eliminate them from the body. Such solutions are recommended to make their own, without a doctor’s prescription when you need to induce vomiting. Enterosgel, Polisorb, smectite – funds in cases of poisoning by alkaloids (alkaline compounds containing nitrogen in nature are found in plants). In the procedure of cleansing the stomach prescribe saline solutions. They are prepared and sold in pharmacies, for example, saline (NaCl 0,9%). Also an isotonic solution can be prepared by. The amount of food of salt is 10 g per 1 l of water. Action solutions – preventing the penetration of toxic substances in the lower digestive tract (bowel). Salt solutions are shown a few hours after food poisoning when part of the toxic substances has already passed into the intestine. After washing, make irrigation of the stomach, salt laxative. Absolute contraindications to gastric lavage – extensive burns to mucous membranes chemistry (strong alkalis and acids), damaged when a large area of the epithelium of the upper gastrointestinal tract. It is impractical to carry out the procedure after 4 hours after the ingestion of poisons. poor circulation in the brain. Temporary contraindications – unconscious state, acute mental disorder, seizures, stroke. Timely gastric lavage to prevent serious poisoning of an organism, violation of liver and kidney, to avoid the effects of intoxication (Central nervous system). It is therefore important to know the technique of the procedure, especially if the family has small children. To provide timely assistance in cases of poisoning need to have in a home first aid kit with all necessary medicines and means which will ensure the efficiency of gastric lavage.